Free open access medical education or “FOAMed”, is a term often confused as a catchall phrase for blogs, podcasts and social media on medical topics. 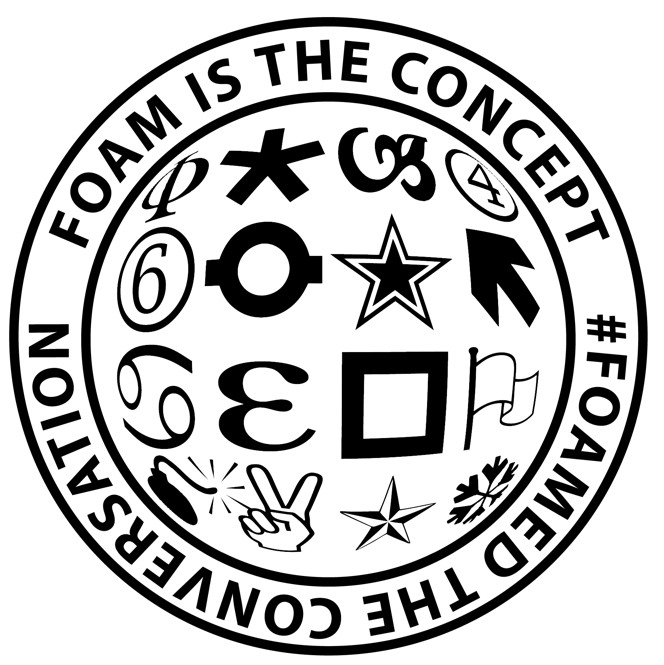 While these are all platforms through which FOAMed can be disseminated, it actually encompasses the spirit and community of learners and educators who believe in freely accessible content for lifelong learning and open discussion. Utilizing the internet and widespread use of social media, this community has no geographical boundaries and therefore, an unlimited potential for growth. Why should you care about #FOAMed? FOAMed is a disruptive innovation in the world of medical education, especially in the fields of Emergency Medicine and Critical Care. This is demonstrated by the exponential growth of FOAMed content within just the last decade. A descriptive report by Cadogan et al. found that as of November 2013, there were 141 blogs and 42 podcasts identified on 183 Emergency Medicine & Critical Care websites from nearly zero in 2002 (and now 275 in 2016). In addition, a recent Canadian study of program directors and residents in the 14 FRCP EM training programs in Canada found that FOAMed resources were used extensively by both groups (Purdy et al). A local survey of staff and residents at the Ottawa Hospital similarly found that 91% of both staff and resident respondents use FOAMed sources at least monthly for the purpose of continuous medical education. What are the misconceptions and controversies surrounding #FOAMed? FOAMed is not meant to replace traditional learning. The biggest advocates of FOAMed still believe that learners must read thoroughly through a core textbook, because FOAMed is quite heterogeneous, with a skew towards more interesting topics. The majority of FOAMed expresses opinions and best practice patterns of experts in the field based on their own critical appraisal of the literature. This is akin to residents learning from staff on shift; it is recognized that there are variations in personal practice and that not all staff opinions or practices are evidence-based. However, there are emerging trends in the FOAMed movement to promote enhanced referencing and citations, so that posts are high quality, well referenced, and even peer reviewed. An excellent example of this is seen at sites such as AliEM and CanadiEM. FOAMed complements original research articles by allowing a widely accessible means for its post-publication discussion and critique. It is similar to an editorial, but has the advantage of being open for all readers to contribute. In conjunction with this, primary researchers are now beginning to appreciate the impact of knowledge dissemination that FOAMed has, and are examining ways to utilize FOAMed for knowledge translation of their own research. Does FOAMed shorten the knowledge translation (KT) window? FOAMed is often cited to increase knowledge dissemination. For example, Dr. Scott Weingart promoted his technique of delayed sequence intubation on his podcast EMCrit ahead of its formal publication. The technique was therefore being discussed, utilized and even refined by EM practitioners around the world before it was in the primary literature. FOAMed may increase knowledge dissemination, but it is less clear whether this results in true knowledge translation. Lags in knowledge translation may also be beneficial by helping to ensure the safety and efficacy of implementing new research into practice. Ultimately, the question regarding the effectiveness or appropriateness of FOAMed knowledge translation remains to be answered, but these concerns remain theoretical, and information should not cause harm if it is considered with an educated and critical approach, as should all new information or research. The Skeptics Guide to Emergency Medicine, 2012. What quality measures exist for FOAMed in the literature? The Social Media Index (SMi) was developed by Thoma et al. as a means to quantify the impact of FOAMed websites and blogs. This parameter is comparable to the h-index for scholars and the impact factor for journals. This comparative index is derived from three indicators: Alexa rank of the website, Twitter followers of the most prominent editor and Facebook likes. Subsequently, Colmers et al. published The QualityChecklists for Health Professions Blogs and Podcasts. To derive these checklists, a systematic review of the literature identified relevant quality indicators to either blogs or podcasts. Two modified Delphi studies were then performed to develop a consensus on the most important of these quality indicators. Ultimately the most important factor in determining quality is the user’s own judgment. As the Skeptic’s Guide toEmergency Medicine’s tagline suggests: Be skeptical of anything you learn. Apply critical thinking skills to any new information, regardless of the source. How can FOAMed be useful to you? Regardless of your topic of interest, there is likely FOAMed content that can supplement your learning. With an overwhelming amount of information available, an excellent place to start is by browsing the list of top SMi websites. Thoma et al. published “Five Strategies toEffectively Use Online Resources in Emergency Medicine” which gives tips on finding and aggregating FOAMed resources. 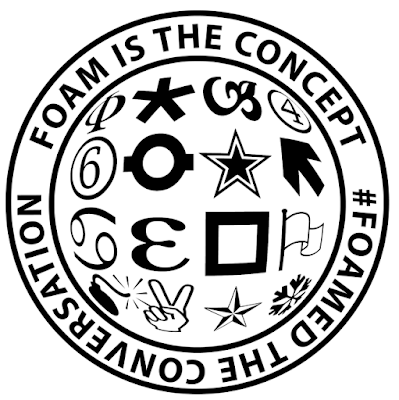 Finally, there are numerous websites and resources that curate FOAMed content. One such website, started by myself and Dr. Rosenberg (Staff at The Ottawa Hospital), is www.ilearnem.com, which aims to organize the highest quality FOAMed material to cover the fundamental topics in emergency medicine as a supplementary curriculum for self-study. It is time that Emergency Medicine programs and departments consider formally integrating FOAMed into continuing medical education, as it is only becoming more ubiquitous as a learning tool among both staff and learners. FOAMed is an adjunct to complement traditional sources of education, and does not displace it. Finally, just as we teach critical appraisal skills for navigating the primary literature, it is time that residency programs teach skills in using and evaluating FOAMed. 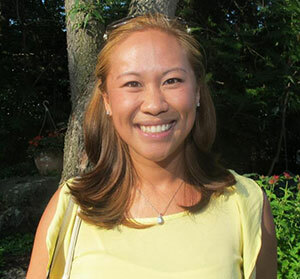 Dr. Andrea Lo is an 3rd year Emergency Medicine resident in the CCFP-EM program at the University of Ottawa, with a special interest in FOAMed. 1. Cadogan M, Thoma B, Chan TM, Lin M. Free Open Access Meducation (FOAM): the rise of emergency medicine and critical care blogs and podcasts (2002-2013). Emerg Med J. 2014;e1:e76-e77. doi:10.1136/emermed-2013-203502. 2. Cadogan M, Nickson C. Free Open Access Medical Education. Life in the Fast Lane. http://lifeinthefastlane.com/foam/. Published 2014. Accessed January 9, 2016. 3. Cadogan M. The World of FOAM and EMCC. Life in the Fast Lane. http://lifeinthefastlane.com/emcc-blog-update-2016/. Published 2016. Accessed May 3, 2016. 4. Thoma B, Joshi N, Trueger NS, Chan TM, Lin M. Five strategies to effectively use online resources in emergency medicine. Ann Emerg Med. 2014;64(4):392-395. doi:10.1016/j.annemergmed.2014.05.029. 5. Lin M, Joshi N, Grock A, et al. Approved Instructional Resources (AIR) Series: A national initiative to identify quality emergency medicine blog and podcast content for resident education. J Grad Med Educ. 2016;8(2):In press. 6. Chan TM, Grock A, Paddock M, Kulasegaram K, Yarris LM, Lin M. Examining Reliability and Validity of an Online Score (ALiEM AIR) for Rating Free Open Access Medical Education Resources. Ann Emerg Med. 2016:1-7. doi:10.1016/j.annemergmed.2016.02.018. 7. Paterson QS, Colmers IN, Lin M, Thoma B, Chan T. The quality checklists for health professions blogs and podcasts. 2015:1-7. doi:10.15200/winn.144720.08769. 8. Thoma B, Chan TM, Paterson QS, Milne WK, Sanders JL, Lin M. Emergency Medicine and Critical Care Blogs and Podcasts: Establishing an International Consensus on Quality. Ann Emerg Med. 2015. doi:10.1016/j.annemergmed.2015.03.002. 9. Lin M, Thoma B, Trueger NS, Ankel F, Sherbino J, Chan T. Quality indicators for blogs and podcasts used in medical education: modified Delphi consensus recommendations by an international cohort of health professions educators. Postgrad Med J. 2015;91(1080):546-550. doi:10.1136/postgradmedj-2014-133230. 10. Chan TM, Thoma B, Radecki R, et al. Ten Steps for Setting Up an Online Journal Club. J Contin Educ Health Prof. 2015;35(2):148-154. doi:10.1002/chp.21275. 11. Thoma B, Chan T, Desouza N, Lin M. Implementing peer review at an emergency medicine blog: bridging the gap between educators and clinical experts. CJEM. 2015;17(2):188-191. doi:10.2310/8000.2014.141393. 12. Radecki RP, Rezaie SR, Lin M. Annals of Emergency Medicine Journal Club. Global Emergency Medicine Journal Club: Social media responses to the November 2013 Annals of Emergency Medicine Journal Club. Ann Emerg Med. 2014;63(4):490-494. doi:10.1016/j.annemergmed.2014.01.033. 13. Nickson C, Cadogan M. Free Open Access Medical Education (FOAM) for the emergency physician. Emerg Med Aust.2014;26:76-83. 14. Purdy E, Thoma B, Bednarczyk J, Migneault D, Sherbino J. The use of free online educationa resources by Canadian emergency medicine residents and program directors. CJEM. 2015;17(2):101-106. Previous Post: Opioid Addiction and Death: Are we the Problem?